Charlie is a simple being. She likes cats, she likes big earrings, she likes beer and she likes metal. Sometimes she likes talking about herself in the 3rd person, but let’s put a stop to that. Yes! 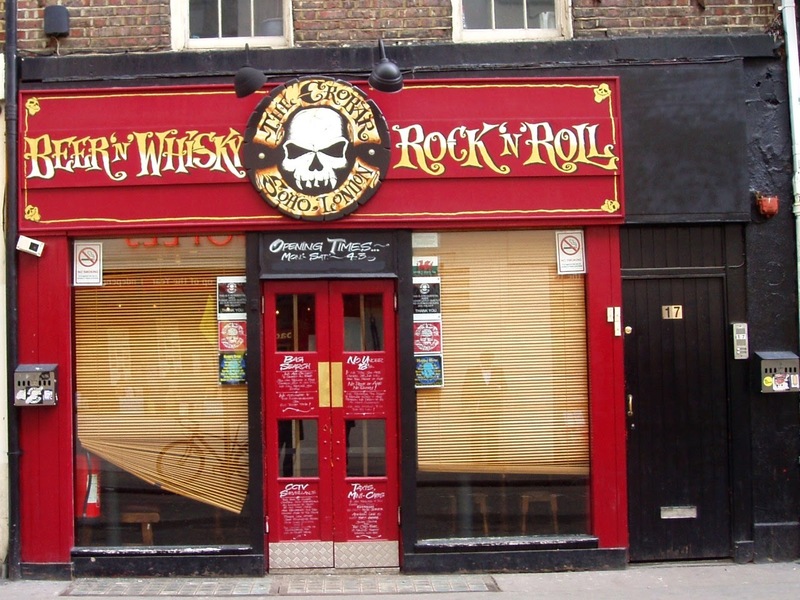 I love a little metal when the mood strikes (and Barry Gibb during ANY mood) and one of my favourite places for this is Crobar, just off Tottenham Court Road. I’d like to throw a few posts together on my favourite haunts. London is vast, there are so many places to go and I’m lucky enough to live there and try them all out, but anyone living in a big city can discover a hidden gem once in a while. To me, Crobar is one of those little gems. It is absolutely tiny (so get there early), the jukebox is banging and they have upped their beer game enormously in the past year. Honestly, I used to get really excited to see a little bottle of Einstock floating around in the ice bucket with the label falling off (mmm, there’s nothing better than a porter so cold you can’t even taste it), but now I’m swimming in Crafty Dan, Beavertown and Sierra Nevada (although let’s face it, I’m basically on Gamma Ray all night). While they’re not ‘pushing boundaries’ when it comes to beer; frankly, I’m not looking for a challenge, just something that tastes good. Oh, and if you’re not into beer (why are you here again?) they have enough whiskey to get you well and truly toasted. Bish bash bosh. Open Monday-Saturday, 4pm- 3am. Not open Sundays. Sundays are for sleeping.